Floating somewhere between reinvention and desperation, former lightweight champion Anthony Pettis will be competing in his third different division on Saturday when he faces Stephen Thompson at UFC Fight Night in Nashville (8 p.m. ET, ESPN+). The five-round welterweight main event headlining Bridgestone Arena offers the 32-year-old Pettis at least one more chance at putting an inconsistent last four years behind him as looks to defeat one of the 170-pound division's most difficult strikers. The road Pettis (21-8) has been on since losing his lightweight title to Rafael dos Anjos in 2015 has largely been a dark and confusing one. 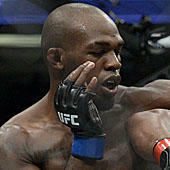 An initial three-fight losing streak was followed by alternate wins and losses over his next six fights. An experimental move down to featherweight was also unsuccessful when he was stopped by champion Max Holloway. Five months after he was on the wrong end of a fight-of-the-year contender against Tony Ferguson, the fighter known as "Showtime" knows there are two competing truths battling against each other. While there's still time for a complete reinvention given his age, it certainly won't come easy in his first fight at a new weight class against an opponent like Thompson where any lapse of focus can cost him dramatically. Focus has become a key word for Pettis when looking back at what went wrong in the years where he felt he had to live up to the character he inadvertently created after leaping off the cage wall to knock down Benson Henderson with his "Showtime kick" to the face in their epic WEC championship bout in 2010. "Somewhere along the line, I lost the focus and I lost the basics," Pettis said. "The basics are what made that flash happen. I kind of put too much pressure on myself with that name by trying to land these big moves and trying to land these flashy highlights. I'm excited to go into this next chapter a little more wiser, definitely more skill and I'm hungry again." The 36-year-old Thompson will snap a 10-month layoff dating back to his disputed five-round decision loss to Darren Till last May that landed a serious dent to his title hopes. But the aftermath of former champion and Thompson rival Tyron Woodley losing his title and the influx of talent either arriving (Ben Askren), reinventing (Jorge Masvidal) or ascending (Kamaru Usman) has suddenly placed Thompson (14-3-1) in a key spot should he defeat Pettis. "I can take what you got, it's mine," Thompson said of his awkward style. "I think that's why I do it. I want to be the best fighter in the world. "This is going to be the classic taekwondo versus karate style. He's going to use his taekwondo and I'm going to use my karate and karate is going to win. I will have that title and I'm not giving up on it and it starts with Anthony Pettis." Both fighters have no shortage of confidence entering what's expected to be a fun style matchup considering Pettis' attacking nature being paired against the counter-striking style of Thompson. "Anthony Pettis has got good striking but I have better striking," Thompson said. "He's pretty fast but I'm faster. He has good jiu-jitsu and I have better wrestling but why take him down when I could beat him standing up. People want to see a knockout and that's what I am going to give them." "'Wonderboy' Thompson is a dangerous opponent but I feel so comfortable in the striking matchup," Pettis said. "Where he is good, I'm great and where he is bad, I'm even better. It's all in. I have to get this win and I have to get it against a guy who is supposed to beat me." Also on this card, we get the return of a pair of heavyweights in Curtis Blaydes and Justin Willis. Blaydes is coming off a quick TKO loss to Francis Ngannou in November while Willis earned a decision win over Mark Hunt in December. This card also marks the return of 20-year-old prodigy Maycee Barber when she takes on JJ Aldrich in a flyweight bout. Barber has been touted as one of the next big things in MMA, drawing comparisons to Conor McGregor, Jon Jones and Anderson Silva. Also returning on this card is "Violent Bob Ross" Luis Pena when he takes on Steven Peterson. Pena, a large featherweight for the division, missed weight by three pounds during Friday's weigh-ins. To his credit, it appears as if Thompson has learned from what he failed to do in swaying the judges to his side in close and disputed losses to Till and in his rematch with Woodley. Being more active will be paramount for the southpaw, who has promised in recent days to go for the knockout and should have plenty of opportunity given Pettis' aggressive ways. Although Pettis has always been big for a lightweight, he's going to need to prove he has the power and the chin to make an instant impact in a higher weight class. Should he fight as reckless as he did in nearly finishing Ferguson at UFC 229, however, he could become tailor made for how well Thompson disguises counter attacks from awkward angles. The idea of seeing Thompson become more aggressive has always been a scary notion. Given that his window due to his age is running out as it pertains to achieving his goal of becoming a world champion, facing an opponent moving up in weight who doesn't often take the fight to the ground could be the perfect testing ground. Thompson will get hit in this one and will need to prove his toughness. But it's nothing he hasn't shown in the past against more talented opponents like Woodley and Rory MacDonald. It's time for "Wonderboy" to complete his evolution to becoming a man inside the cage.